The DROID Bionic update we informed you about yesterday is now being shipped out to owners. 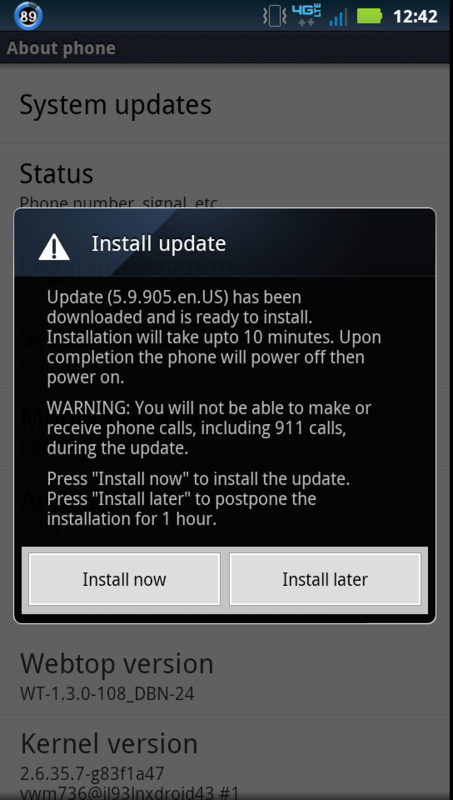 We know it’s not Ice Cream Sandwich, but it does offer better 4G LTE connectivity (which is a plus) and a couple of other random fixes. One of our tipsters pulled the update zip file for all to enjoy, so if you need to open and examine, feel free to do so. Note: According to Moto’s Forum Manager, this could just be a smaller soak test with larger roll out happening as early as next week. Sorry, folks. Cheers Benjamin, Dominic, Jim and David!